Have you ever heard that beautiful rhyme before? If you have, you know where I'm going with this. If you haven't, I may have just saved your life. You can thank me later. Different types of the venomous coral snake is found all over the southern and western United States. They are one of the most venomous snakes in North America. How venomous? Coral snakes venom can cause complete paralysis of the lungs within 2-3 hours. Any amount of skin penetration is dangerous and you should get to the nearest emergency room as quick as possible. What does one of these snakes look like? They have red, black, and yellow stripes. Then there is the scarlet snake. While it may scare you to death, it's not venomous. Yet, it has some commonalities with the coral snake. It's found in many of the same locations, it's about the same size, and it has three dominant colors on its body: Red, black, and yellow. Oh boy, we have a problem. If a red, black, and yellow striped snake pops out from under a rock while you're hiking, how are you going to know to not pick it up and play with it? What's that you say? Because it's a snake? False. You're going to calm your breathing and recite a little rhyme you read on an obscure church blog: Red and black, venom lack. Red and yellow, kill a fellow. While coral snakes and scarlet snakes have the same coloring, their stripes come in a different order. Coral snakes will have a red stripe next to a yellow stripe and will kill you. 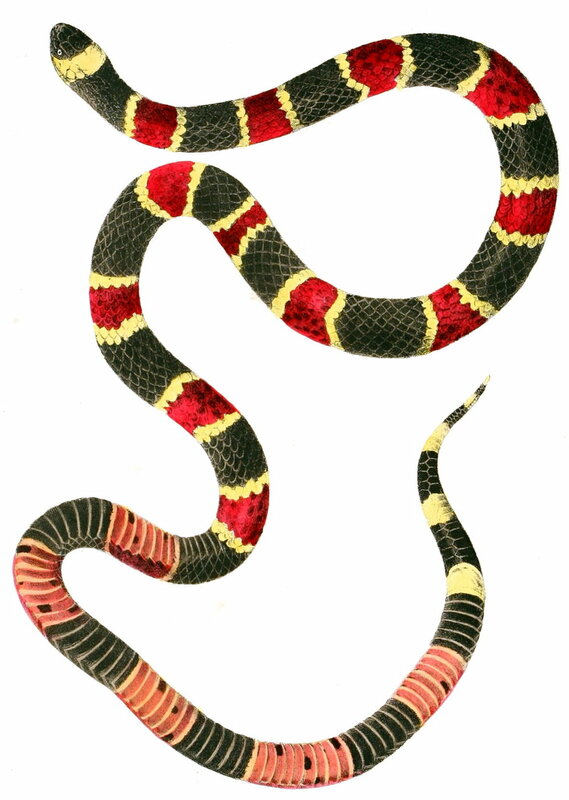 A scarlet snake will have a red stripe next to a black stripe and is your friend. At first glance, you may not be able to tell them apart, but now you'll know the difference between two very similarly colored snakes. And it might save your life. In the second half of James 3, pastor James turns to wisdom. He explores two types of wisdom. One that is deadly, and one that is life-giving. While at first glance their stripes may share the same shades, a closer look shows which one will kill you. Join us tomorrow as we examine two types of wisdom with completely different outcomes. Newer PostBaby, Why Don't You Just Meet Me In The Middle?